Yes once again its December and unusually for the south of England we have snow (well some of us). Its much colder than I remember but that could be just because I have a cold and its lingering, whether the best solution is to stay at home bored and yet warm huddled in many duvets and blankets or to walk to the station and walk from Waterloo onward to work and then back as night starts rather early in the afternoon, is up for discussion. Personally I find that exercise is key. That and lots of steam. This year is less organised than before and the seasonal card sending starts I wonder whether I should do home made ones or buy a bulk pack of non religious ones….possibly funny ones. Xmas is no longer the period where families come together, its become a commercial open season. the TV shows mostly stuff that’s repeated (ok ok no real change there then!) the presents after the age of about 14 are pretty much the same unless you’re buying each other lego. For myself Solar is the way – I have already got some blue solar lights so no extra energy being used there!Wish the whole lighting system could run on some but don’t have the spare cash yet. I do hate the plastic trees. They do not look the same or smell the same. There is something seriously xmassy about walking into a room that stinks of pine. The sight of a real xmas pine with chocolates and lights and balls does something approaching magic. Plastic… and hey don’t fool yourself thinking plastic is eco friendly – someone “created” that tree, melted plastic which means nasty fumes rising into the air.. and guess what eventually that plastic tree will need to get dumped… which is plastic dumped – it doesn’t decompose back into the ground. All in all, buy a real wood tree. You can dry it out and burn it in your fireplace in the new year too and the leaves make great incense or pot-pourri. By the end we’re all gagging to get back to work. or at bare minimum a change of scene. 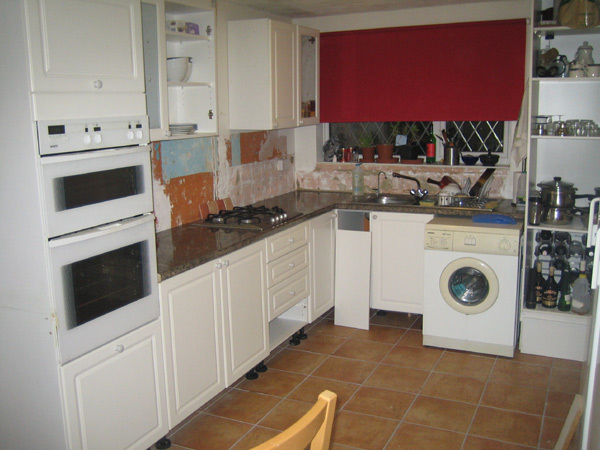 This year 2010, I have spent most of xmas building my new kitchen… started it in november (while I was working) took two weeks off over xmas and will finish in time to return to work. Its been pretty stressful not having a sink oven grill or means other than a microwave to cook… specially over xmas. Still the kitchen does look good now. a few minor additions and it will be superb.